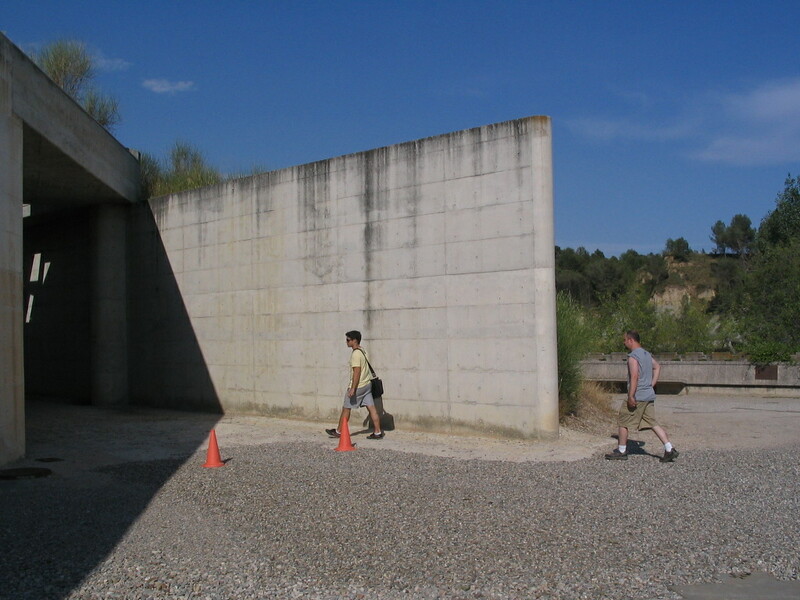 After a hot walk of a mile and a half, we arrived at the Cementiri Nou. 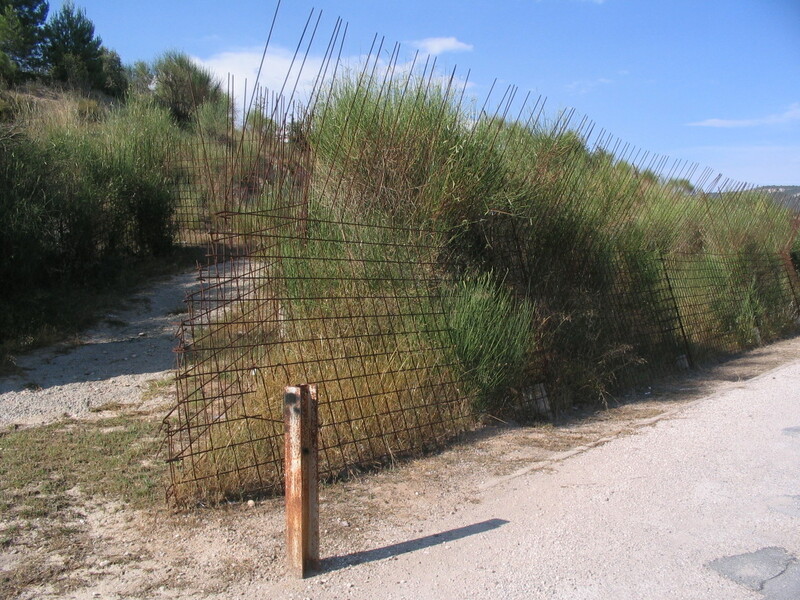 The onset of the cemetery was heralded by this subtle but odd wire fencing. 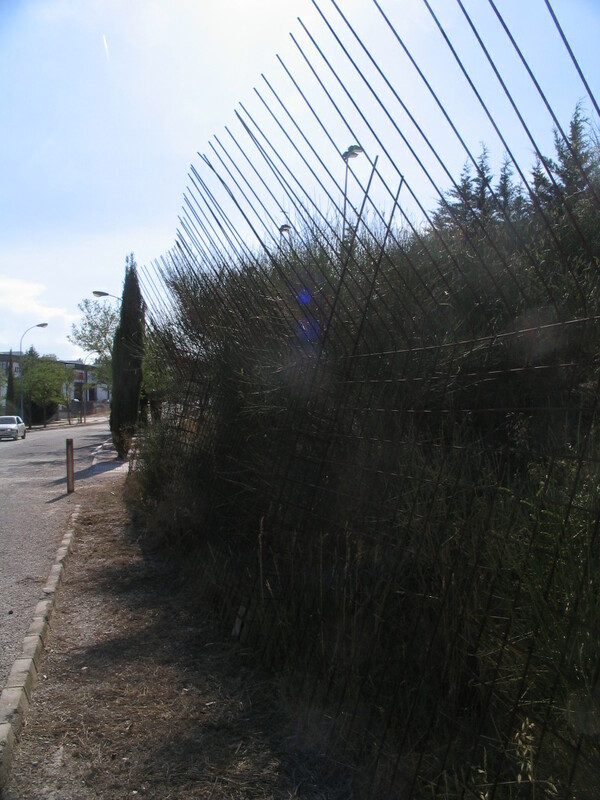 A last look back at the normal street we approached from (Carrer Països Baixos) before delving into the oneiric landscape of the cemetery. 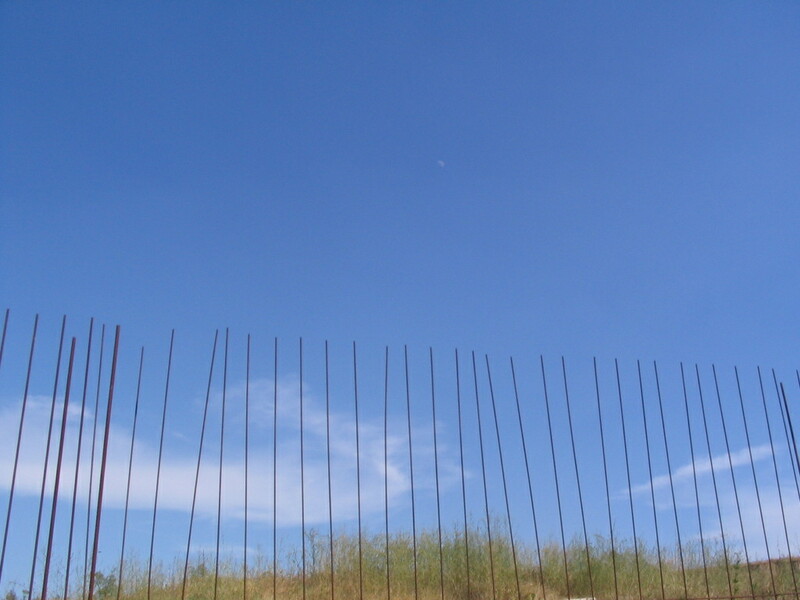 Ascending moon over fence bars. 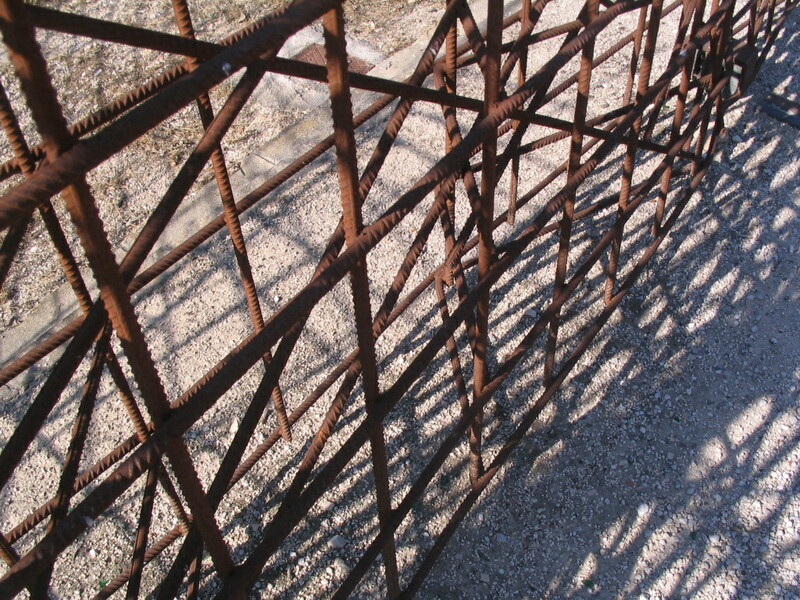 A complex weave of rebars as a gate. 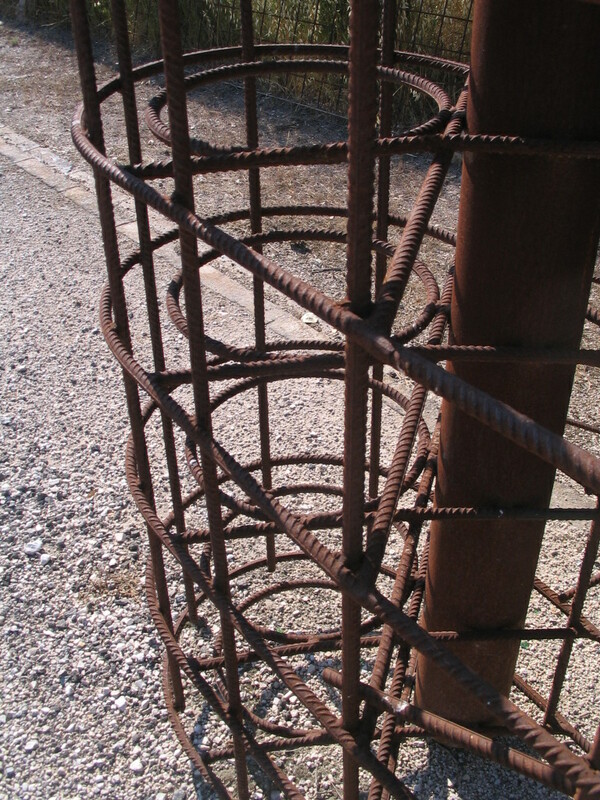 Even the rebars seem to hew closely to the circular/straight Miralles geometry. 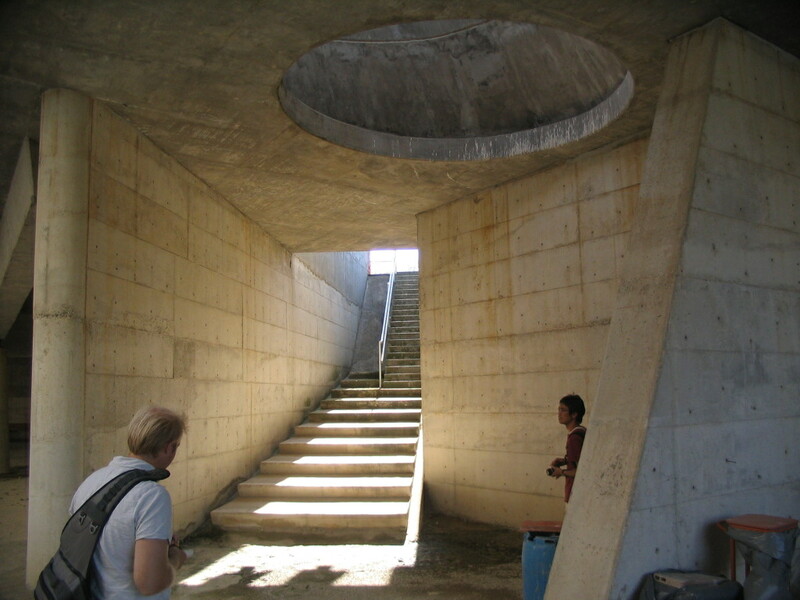 To the side of the main procession of the cemetery and elevated above it is a large chamber carved into the rising land. 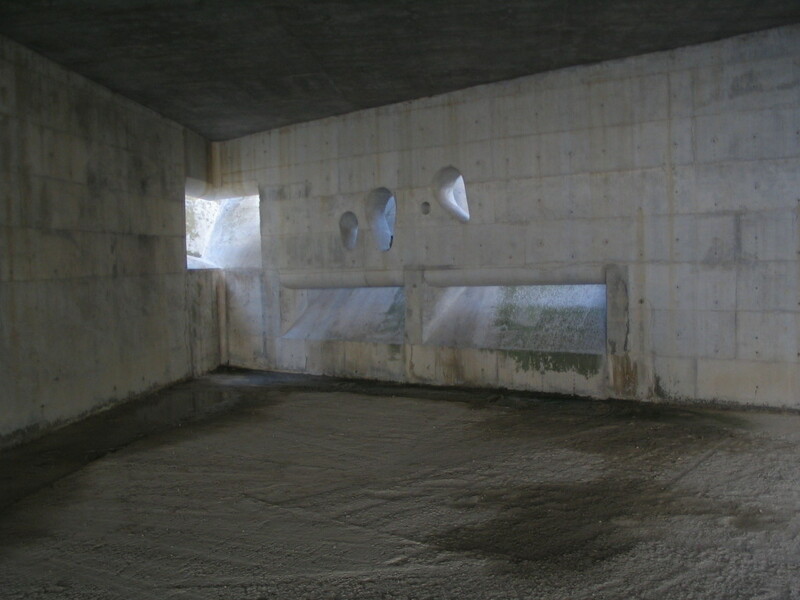 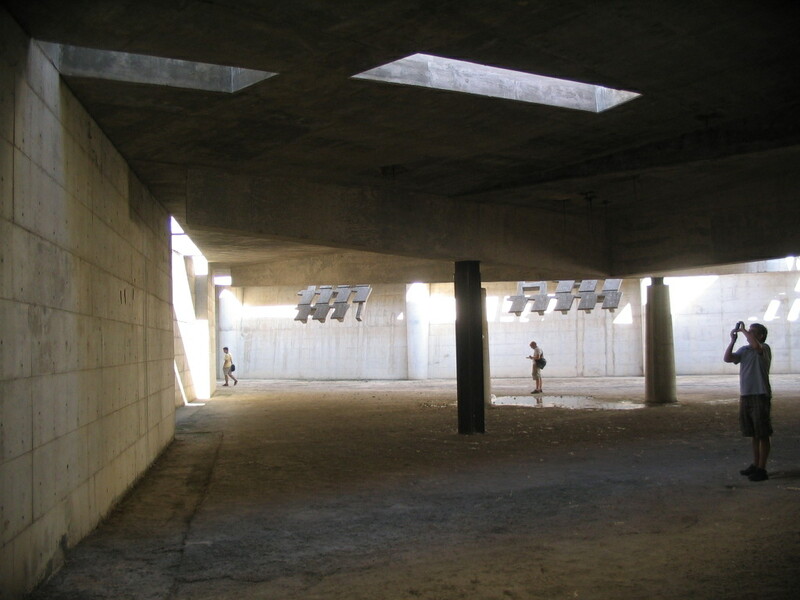 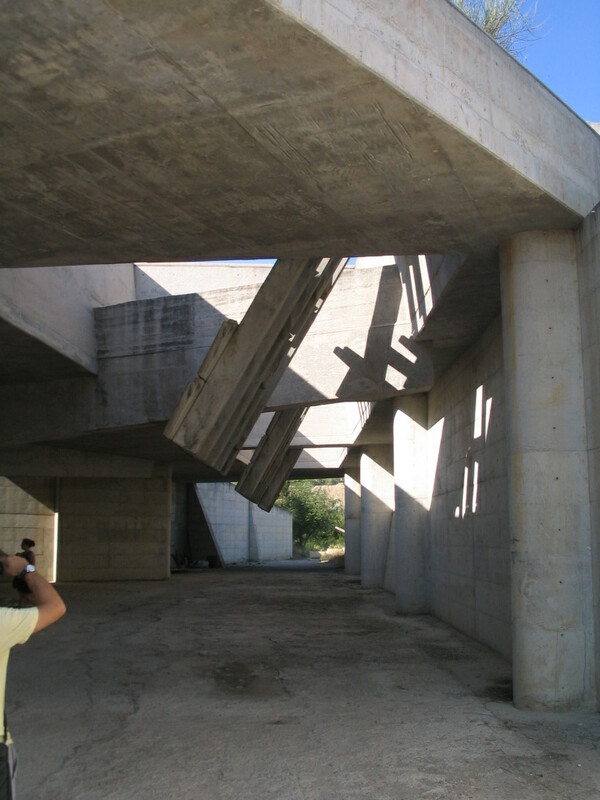 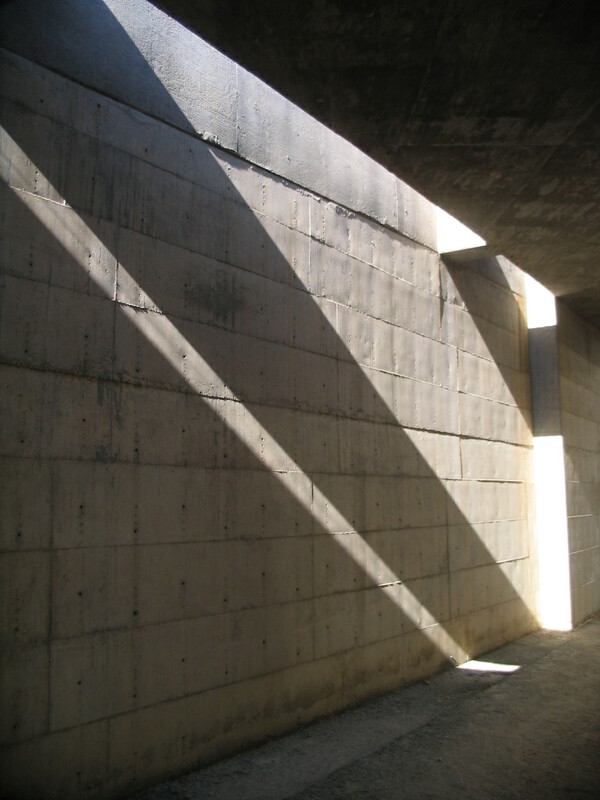 The chamber is full of perforations of various sizes, notably this series with concrete panels hanging down from them. 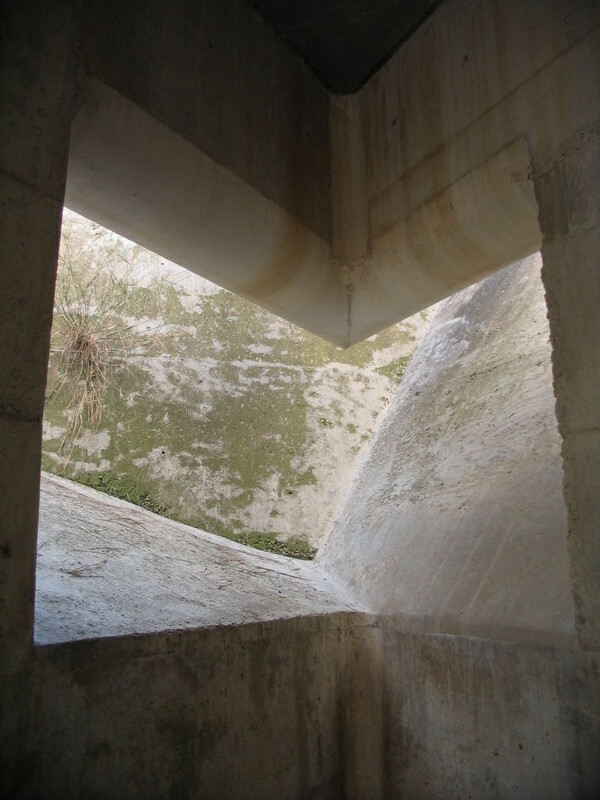 In the far left corner are some intriguing smaller apertures. 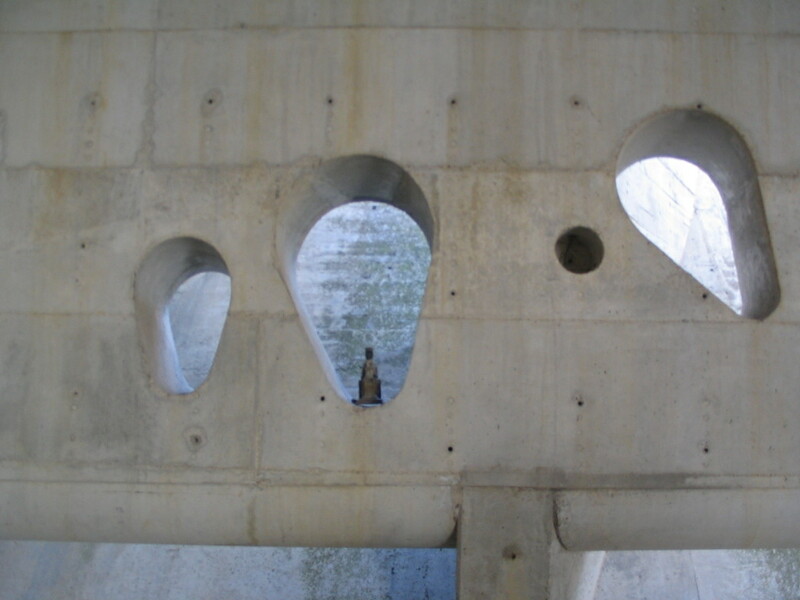 A little votive figure, so it appears, had been placed in one of them. 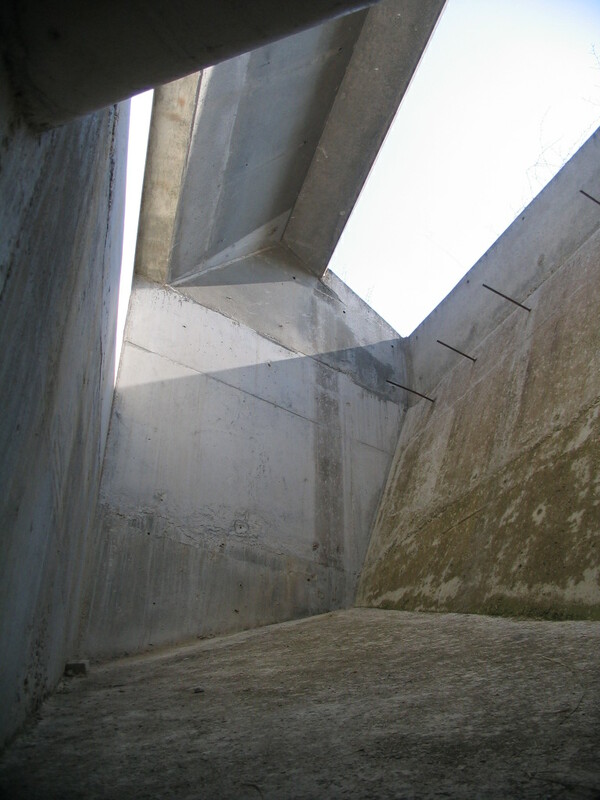 and another, up to the left. 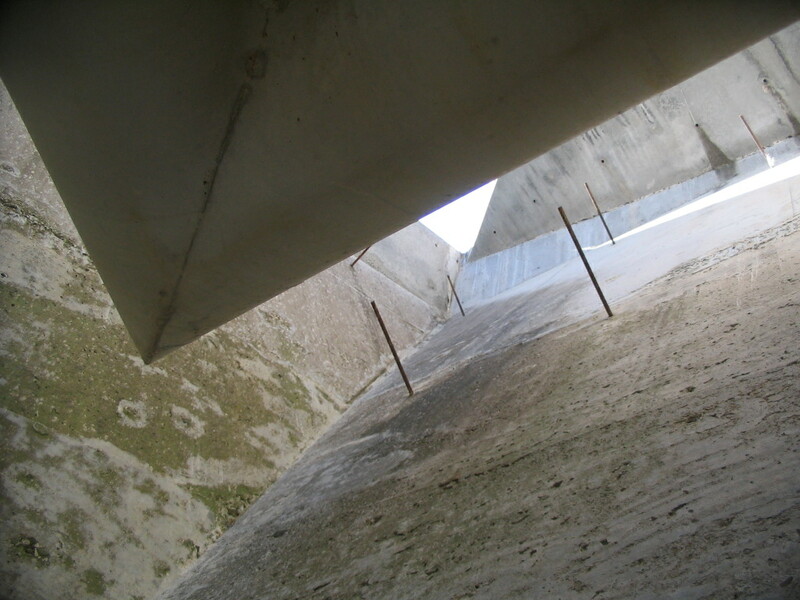 More perforations in the walls and roof; here the shape of the hanging panels is easier to see. 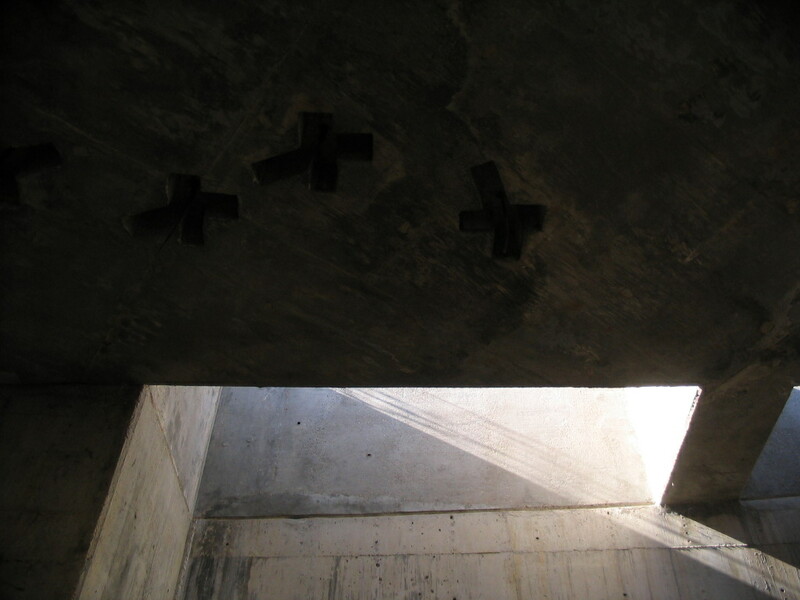 Mysterious curved ceiling cross cavities.